DIVIDE AND CONQUER: THE STORY OF ROGER AILES sheds light on the current moment in American political life by following the arc of Roger Ailes: long-time Republican svengali and controversial founder of Fox News. 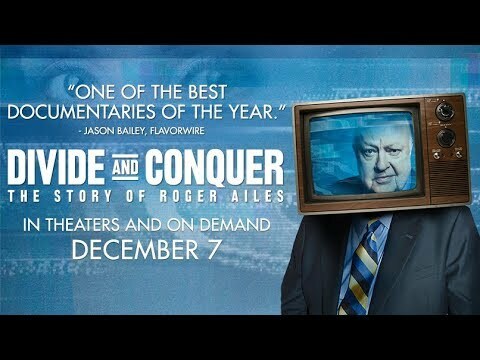 Divide and Conquer: The Story of Roger Ailes was released on Cinema and VOD 134d ago in the US. Notify me when Divide and Conquer: The Story of Roger Ailes is available.